If you need any help with our products or this website please give us a call at 937-376-2927. We really enjoy talking with our customers so don't hesitate to call if we can save you some time or make things easier! 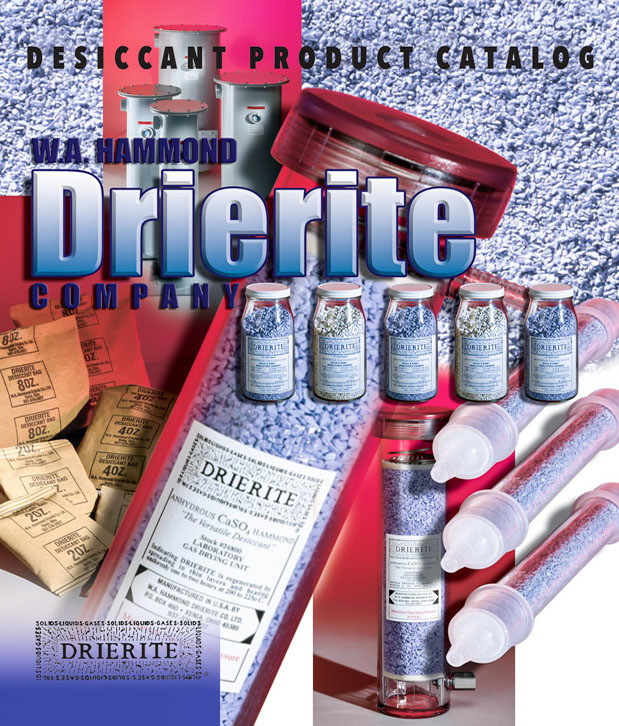 DRIERITE Desiccant Catalog W.A. HAMMOND DRIERITE CO. LTD.